A few days ago, I announced our December batch of Early Reviewer books. 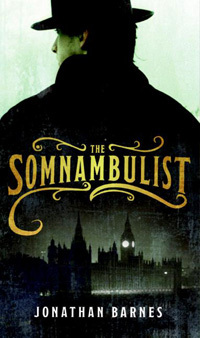 One of the books, The Somnambulist by Jonathan Barnes, immediately shot to the most requested spot. An hour in 200 people wanted a copy. As of right now, 1081 people have requested it—making it by far our most requested Early Reviewer book ever. * Unfortunately, we had only 20 copies to give. So, I emailed the publisher, William Morrow, and asked if they’d be willing to part with more copies. They readily agreed, and tripled the quantity of books from 20 available copies to 60. So, forty more people will get to read and review The Somnambulist early. Thanks William Morrow!